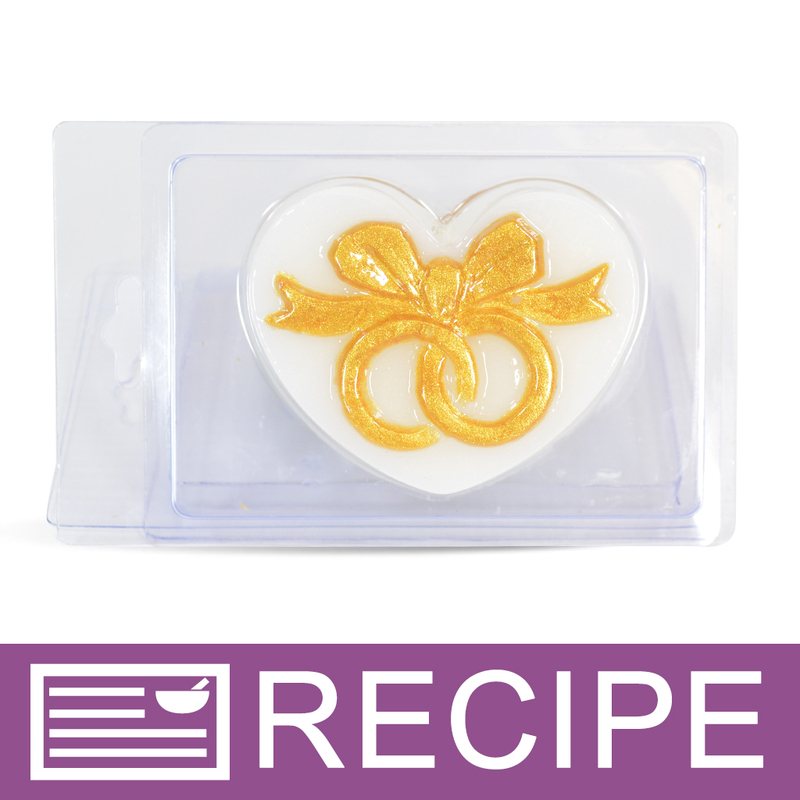 Plan your wedding with these shimmery gold wedding soap favors. Create your own wedding or bridal favors with this project! The gold shimmery color fits most color schemes. If you want to add more color, add colorful organza bags or pretty curling ribbon. Guests will love the charming scents of blackberry, jasmine, lemon and vanilla; and you'll love how simple these are to make! You Save $17.50 by purchasing this kit rather than buying the items separately. "How easy are these to unmold? " Staff Answer Clamshells are a mold and package all in one. Your customers will have no problem removing the soap from the clamshell. These should be really easy to unmold. They should unmold just as easy as plastic soap molds. It is easy to unmold mp soap from clamshell molds, but it is difficult to unmold cp soap. I find it easy to unmold melt and pour and CP or HP soap. I love using these as I can use them as a packaging or a mold or both in one. Hope this helps!